A few years ago I decided to create a watercolor floral calendar. While researching which flowers to paint, I found out every month has a birth flower, just like birth stones. 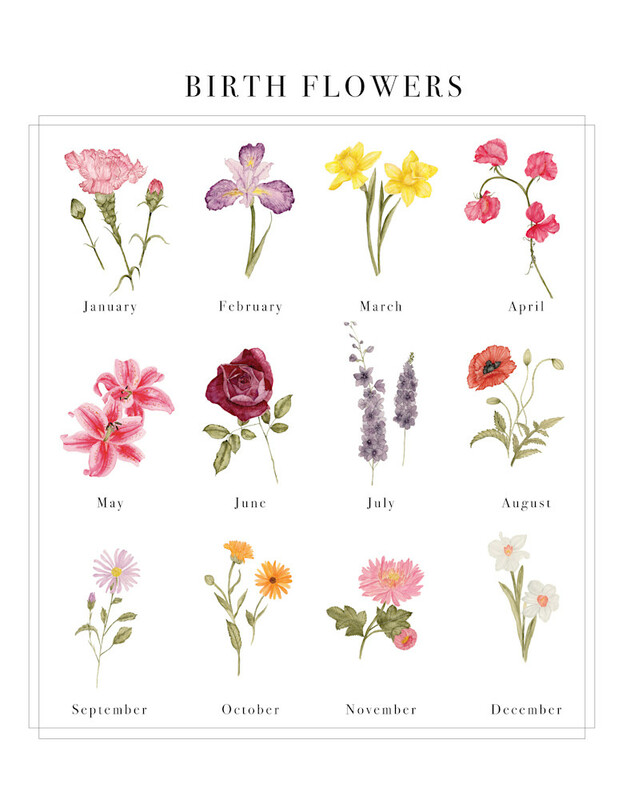 This watercolor "Birth Flowers" chart lists each of the flowers, representing the time of year they bloom and bring beauty to the earth.